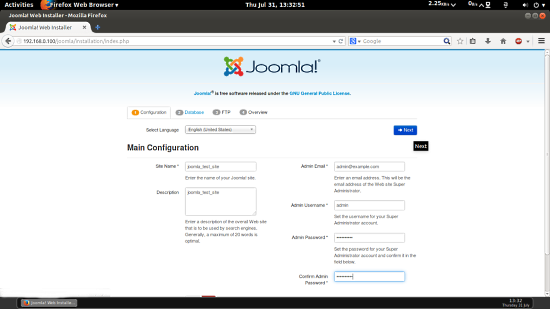 This document describes how to install and configure Joomla on CentOS 7. Joomla is an immensely popular and award-winning open source Content Management System (CMS) that enables users to build websites and create potent online applications in an unperturbed manner. Absolute user-friendliness and flexibility make Joomla amongst the most sought-after CMS softwares. 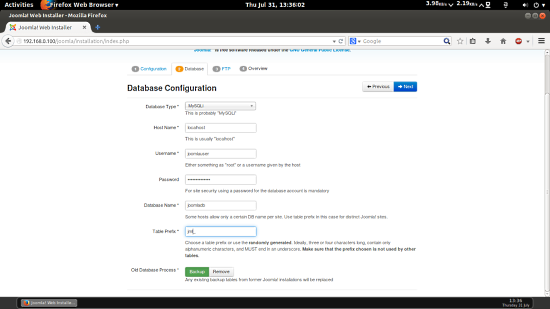 It uses a PHP application, in addition to a back-end database like MySQL. Joomla was created in 2005, and boasts of more than 10,000 add-ons for customized functionality-no wonder than that it remains the second most popular virtual content management site. 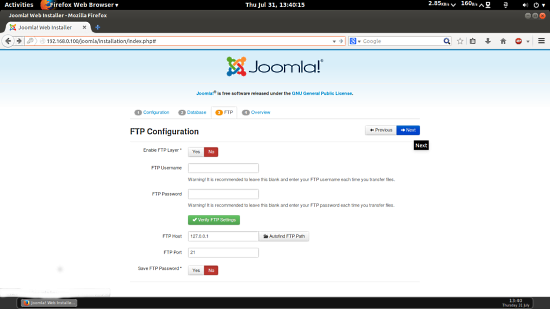 This tutorial explains the process of installing Joomla on CentOS 7.0 in the form of a simple-to-follow guide. This tutorial is based on CentOS 7.0 server, so you should set up a basic CentOS 7.0 server installation before you continue with this tutorial. The system should have a static IP address. I use 192.168.0.100 as my IP address in this tutorial and server1.example.com as the hostname. You must have a LAMP server installed in CentOS 7.0 as mentioned in the tutorial to continue further. 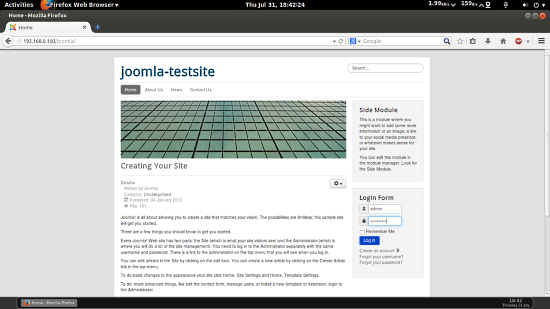 And download the latest Joomla version. It will launch the default webpanel of Joomla. In the system requirements for Joomla 3.x on their hompage stands something about that php-zlib is required. 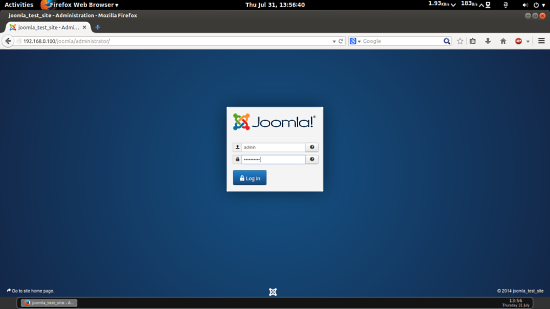 I haven't tried the Installation of Joomla yet, because I'm only setting up the server for somebody else. Now I want to make sure, that he won't have any problems with that. Can you explain me, why you can disregard anything about zlib? 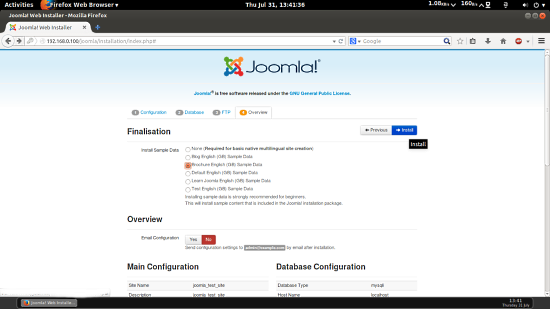 Hi There, I followed this guide however in Joomla all directory permissions are set to unwritable? Global configuration changes won't save and it throws an error could not write to configuration file. 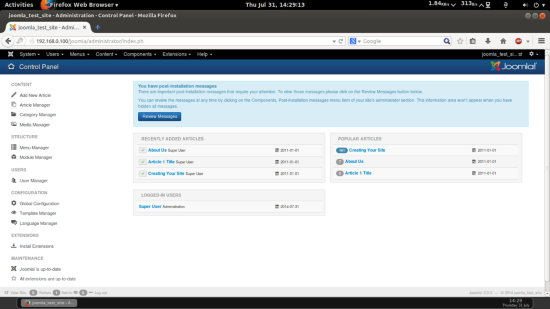 I manually created my configuration.php file and set permissions apache:apache 755. Did you have this issue? Hello, i have the similar issue after following the installation step. All my directory permissions are unwritable. Am i missing some pre/post configuration? 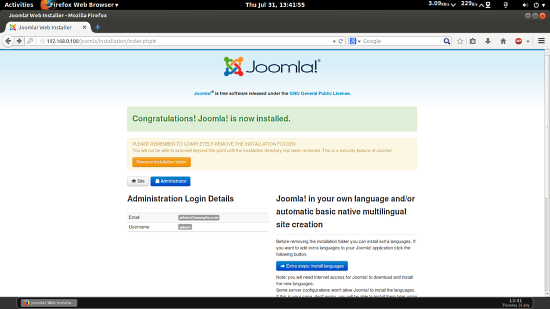 How To Install Joomla on CentOS 7 as virtual machine in ova format, compatible with vmware and virtualbox.